Just like there are different types of pens for writing, there are also different types of ink. All pen ink shares two basic ingredients: a colorant and some kind of liquid or solvent, but the characteristics of the ingredients vary greatly depending on the type of ink. Inks also have additives such as surfactant for smooth flow, fungicides to prevent fungal growth and buffering agents to control the pH and give the ink desirable writing characteristics. Ballpoint pen ink contains an oil-based solvent and pigment for color. The ink flows from a thin tube or canister in the pen and through a small ball in the tip of the pen when you apply pressure to the ball. Standard colors for ballpoint ink are black, blue, red and green. Ballpoint pen ink dries almost instantly as it touches paper, but because it is oil-based, it can smear. Ink for drawing pens is water-based and contains dye rather than pigment for color. Drawing ink requires a drawing pen which you dip into the ink. The ink collects on a nib at the tip of the pen. Drawing ink is very thin, and it takes practice and patience to use the pen without smearing or dribbling the ink. Because drawing ink contains dye, it can fade over time. Artists and calligraphists typically use drawing ink. Fountain pens are similar to drawing pens, but have a refillable cartridge that holds a small quantity of fountain pen ink which eliminates the need for dipping the pen in ink. Fountain pen ink is water-based and contains dye for color, but also contains a surfactant which controls the flow of ink when the nib comes in contact with paper. Fountain pens are less likely to dribble or leave blobs, but the ink still requires a short drying time. Rollerball pens are similar to ballpoint pens, but use water-based or gelled ink and require less pressure on the rollerball tip to write. The ink for these pens is less viscous than oil-based ink and deeply saturates the paper, resulting in a dark color. Gel ink contains pigments where water-based ink has dyes for color. Rollerball pens come in a variety of colors due to the wider choice of water-soluble dyes and vibrant pigments. 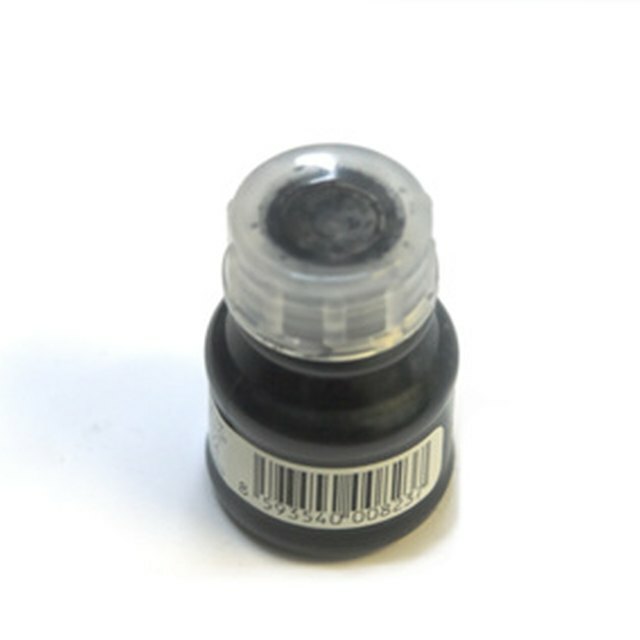 Gel pen ink contains colorful pigment suspended in a thick, water-based gel. The high viscosity of the gel supports more pigment than standard gel ink and also accommodates different types of pigments such as copper and iron oxides. Gel pen ink is thick and opaque and available in almost every color including white. Bright neon, metallic flake and glitter are other unique charactersitics of the ink. Gel pens are similar to rollerball pens in that they have a rollerball to distribute the ink from a small reservoir inside the pen. Gel Pens Only: Why are Gel Pens the Best?